The most recent Mercury Retrograde wreaked serious havoc on my life. I had more technology and appliances die on me all at once than I could possibly handle replacing! Bananarama isn't the only one singing 'it's a Cruel Summer' this year! The list of things I need to now replace include: my camera (my beloved Olympus has finally bit the big one), my refrigerator (I will admit I got my money's worth with that purchase, but the timing couldn't be worse), my air conditioner (in the middle of a heat wave no less) and last but certainly not least my super old, super reliable, long discontinued Palm Treo 700w! Apparently, the Universe for the past few years has decided to hurtle me head first into immediate and un-expected changes. So there's that. I could only assume the Universe arranged for an intriguing event invite, The Global Launch of the LG Electronics, Mobile LG G2 smartphone, the first smartphone introduced under the LG's new "G" Series for a reason. When you get a very secretive save the date more than a month in advance of an event in New York City you already know it's something big. As it got closer to the date, speculation did indeed prove right, and last week 700 attendees from over 30 countries converged at the renowned Frederick P. Rose Hall, Home of Jazz at Lincoln Center in New York City for the Global Launch of this super functional, well-designed device, that pretty much puts your world right in the palm of your hand! The electricity in the room during the presentation was palpable, this is the first time in a long time I didn't see that 'been there, done that, not impressed' look that Media in New York can sometimes have, because in fact, they have probably been there, seen it, and done that. Not. This. Time. Despite the fact that Gadgets haven't had much love for me lately, I'm still a 100% Tech/Gadget Geek and always will be. My sisters were the 'Fashion plates', me? I'd disappear and could always be found in the Electronics Store. I'm still the one assigned to setting up all the new gadgets, appliances and computers, but during the presentation for the first time ever I actually feared I might have met my device match. I't's that smart! Right after the presentation we got to hit a huge demo hall with different stations set up and LG folks on hand to run us through each feature, (and yes, "The Official #TwitterPartyDJ" did skip ahead to the music and sound and by the way it will blow you away! ), this phone can be used as a Universal Remote, and for those few devices it may not have already programmed into it, you can 'train it' to quickly adapt and and give you the features you need for almost any device and remote you've got. So aside from being a match made in heaven for those of us on the go, it's also oddly a Couch Potato's Fantasy come to life! Ƹ̵̡Ӝ̵̨̄Ʒ - New Perspective in Smartphone Design - All the buttons are on the REAR of the device, making it the first smartphone devoid of side buttons. As phones became larger it became harder to operate the side buttons comfortably, particularly with one hand! 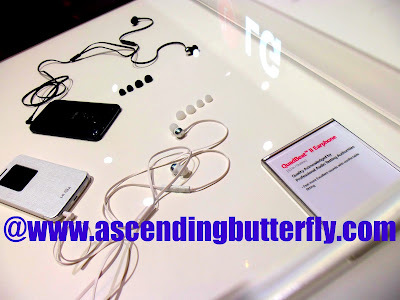 Ƹ̵̡Ӝ̵̨̄Ʒ - STUDIO QUALITY HI-FI SOUND - Sorry to shout butterflies, but the sound on this phone, particularly when paired with LG's QuadBeat II EarPhones will simply blow you away! Plug & Pop - Recommends options or related features to choose from when the earphone or USB cable is detected. Text Link - This feature allows information that is embedded in text messages to be selected and saved in a memor or directly to the calendar or searched on a map or the internet, perfect if you are meeting someone at a certain time say a movie theater and you can have that go to your calendar automatically and not have to keep toggling back and forth between your calender, the text and the net to get directions. QuickRemote - Not only can this phone be used to remotely operate multiple devices, it can also 'learn' from conventional remotes and be *customized* to operate multiple devices with flexible layout and keys. I was pretty blown away when I saw that demo'd live! Guest Mode - Protect your privacy by displaying only pre-selected apps when a guest is holding your phone with a secondary unlock pattern. Great if you are letting the kiddos use your phone or ask a stranger to take a picture for you! Ƹ̵̡Ӝ̵̨̄Ʒ - Next Generation LTE - The LG G2 runs on the industry's most advance mobile chipset, the Qualcomm Snapdragon, a chipset that integrates perfectly with the LG G2 hardware to offer up a very powerful and stable performance. Up Close and Personal with the LG G2 at the New York City Global Launch Event! The QuickWindow Case for the LG G2 allows you to check the clock, see Message Notifications, Receive or Reject an incoming call without opening the cover, plays music via a mini window and you can even access screen without screen unlock when opening the cover! The Studio Quality Hi Fi Sound and the near DSLR quality of the camera on this unit are worth the price of admission quite frankly, everything else is on the icing on the cake. Some of the guys didn't seem to like the buttons on the back, but in my opinion every new device has a learning curve, and these lady fingers had no trouble with the power and volume being on the back of the unit, I did find the placement made operating it with one hand a bit easier in fact. iPhone is going to have step up it's game BIG time, because there just may be a new sheriff in Phone town! This would honestly save my back from carrying multiple devices everywhere! With the 5.2 inch Full HD Display, efficient energy usage (using GRAM technology) which reduces the energy use of the display by up to 26% and increases overall usage time on the device by 10% + a 3,000mAh battery this bad boy can certainly hold its own, whether it's by your side all day for work or play! I am definitely waiting on baited breath for a review unit for this one. I'm currently playing with the HTC Radar and I'll post my feedback once I've had more time with it. 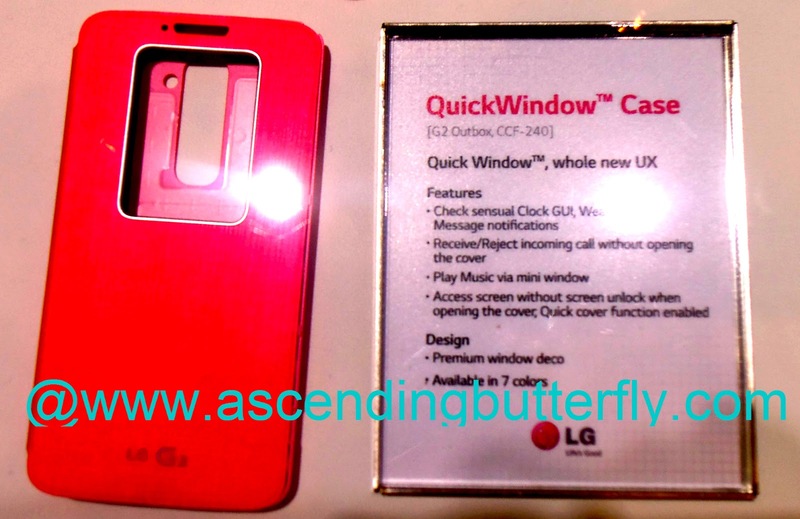 Expect the LG G2 to be rolled out in over 130 wireless carriers in the next 8 weeks starting in South Korea, followed by North America, Europe and other key markets (specific dates and price points will vary by region and carrier). 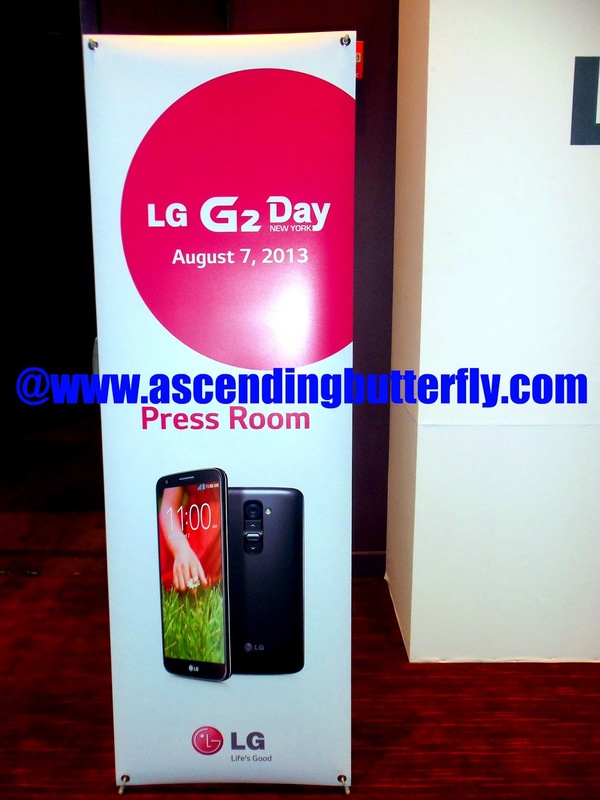 The LG G2 certainly drew a large crowd! 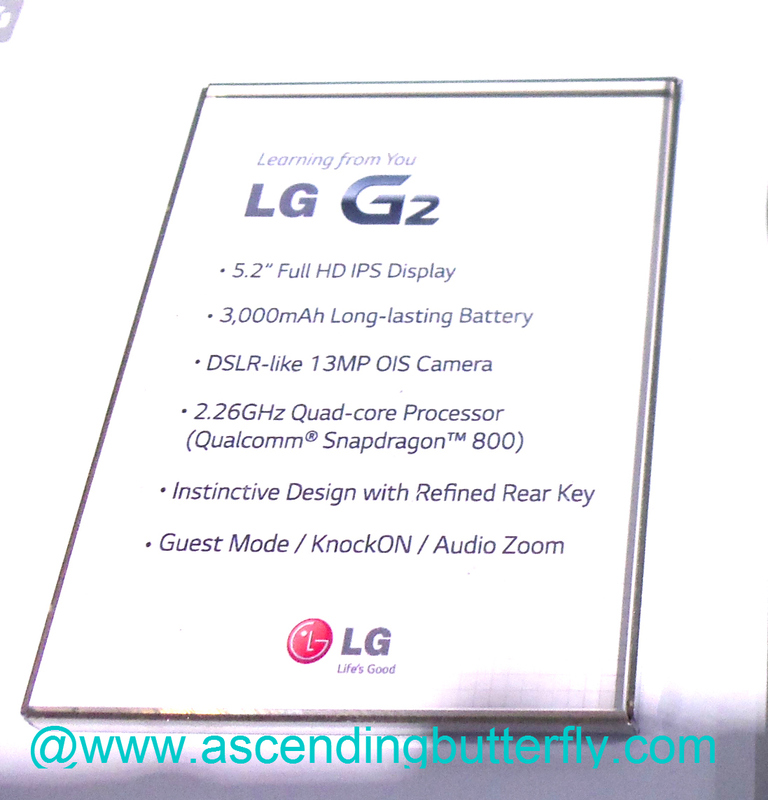 FTC Disclosure: This is NOT a Sponsored or Compensated Post, I attended the Global Media Launch of the LG G2, and while we were provided with gift bags, this phone sadly was NOT in them! All opinions expressed herein are 100% my own. We were not compensated for sharing our recap coverage or photos of the Global Launch. But if they want to send me the unit to put it through it's paces and see if it can keep up with me and my insane life, I would gladly take them up on it and put it to the test! OMG ! 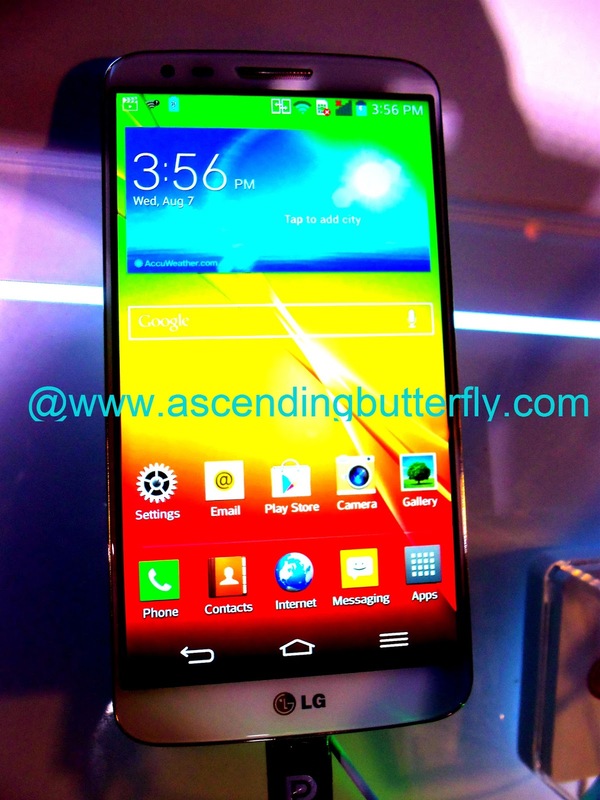 what a beauty I LOVE LOVE this LG G2 ! My old Motorola is just about done and the LG G2 is calling my name. I hope LG lets you review the LG G2 and that you can give us the thumbs up !!! 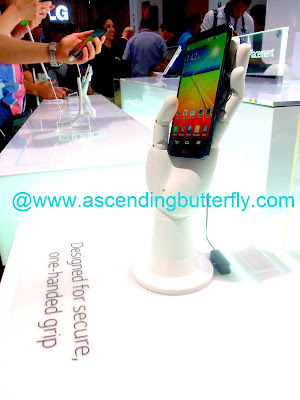 @Big Happy Buddha - I was definitely impressed with the LG G2 and am hoping they send over a review unit as well!